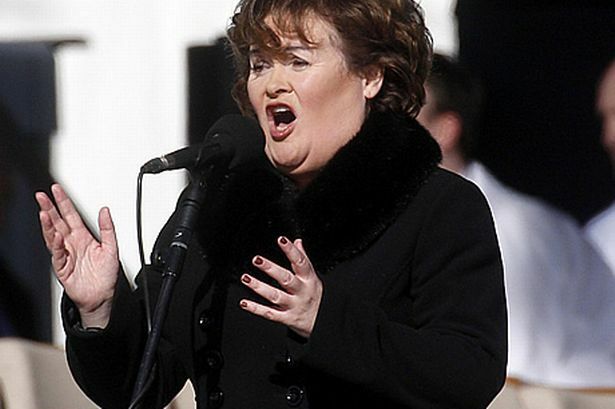 The 'I Dreamed A Dream' singer - who shot to fame when she auditioned for UK TV show 'Britain's Got Talent' in 2009 - has just signed a huge deal to see her story made into a movie, with filming beginning next year. And Susan, 51, has already decided who she wants to play her manager - Hollywood heartthrob George Clooney. She said: "It's wishful thinking. But it's Hollywood... anything can happen." Susan - whose story is already the subject of a stage show titled 'I Dreamed A Dream' - recently revealed she wanted Julie Walters to play her in a film about her life as she's a big fan of the 'Harry Potter' actress. She said: "My story will make a great film. We are in the middle of negotiations just now for a film about my life. "There's only one person I'd love to play me - and that's Julie Walters. She would do the job and you just know she would do my story justice."